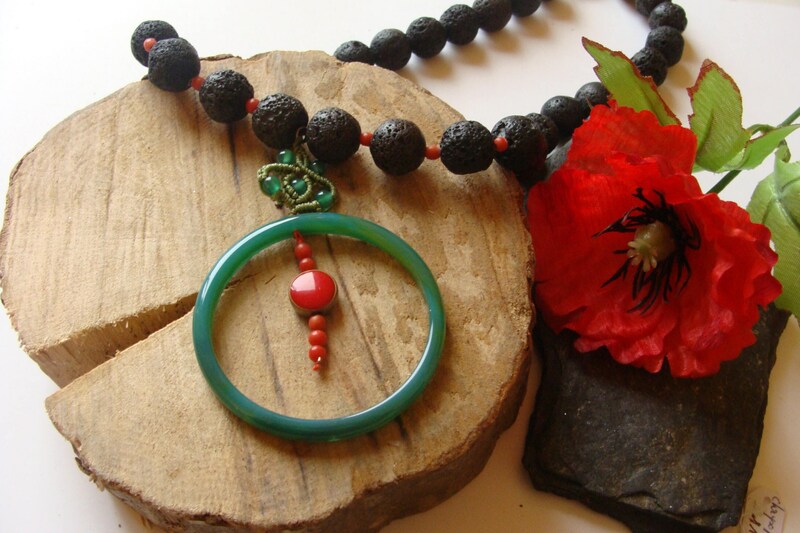 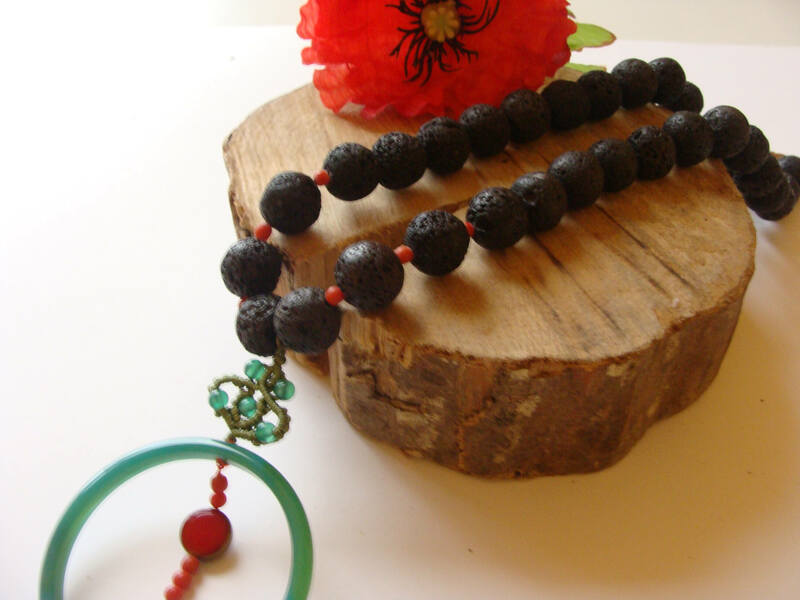 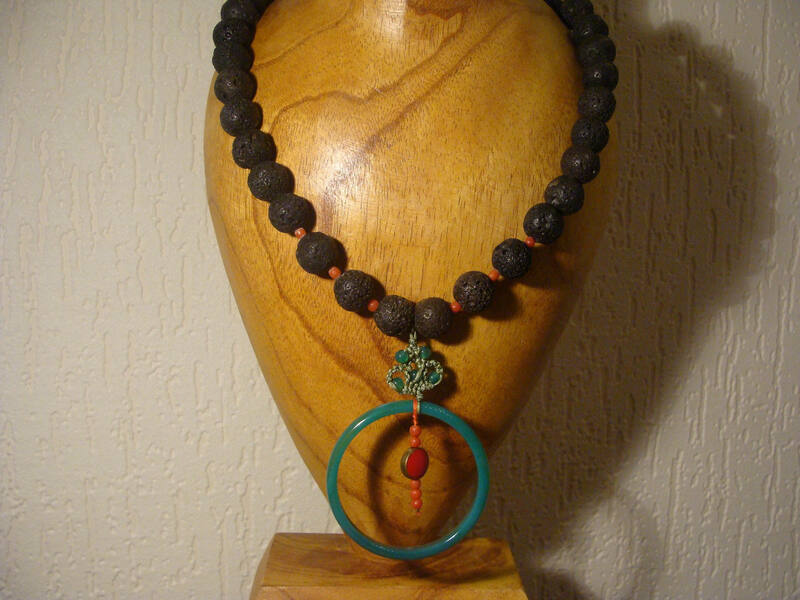 Medium necklace, composed of a row of black pearls in lava beads, alternated with coral beads. 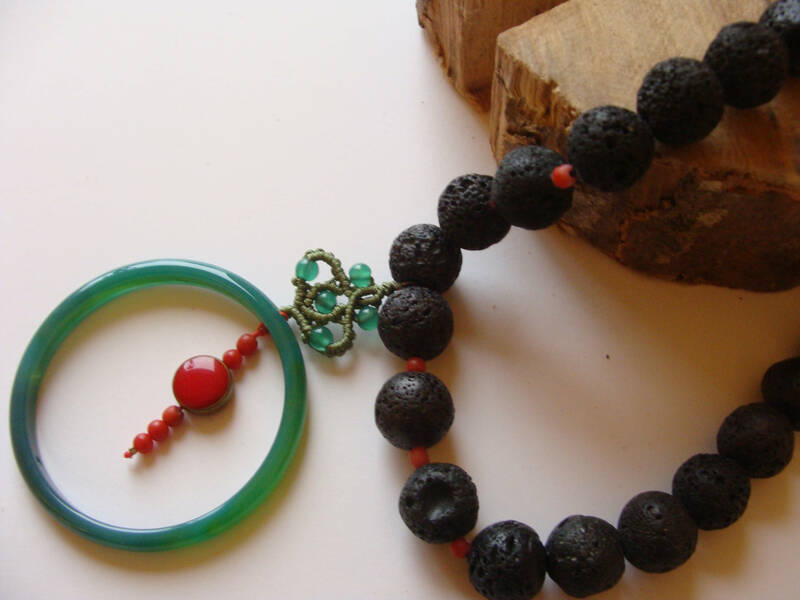 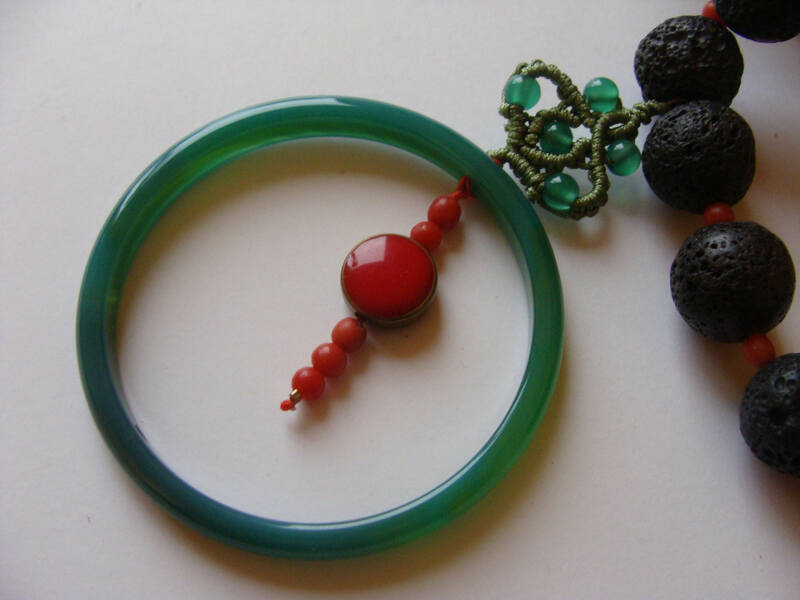 It retains a circle in chrysoprase, a green color, adorned with trimmings and enhanced by a line of natural coral beads and a red synthetic pearl. 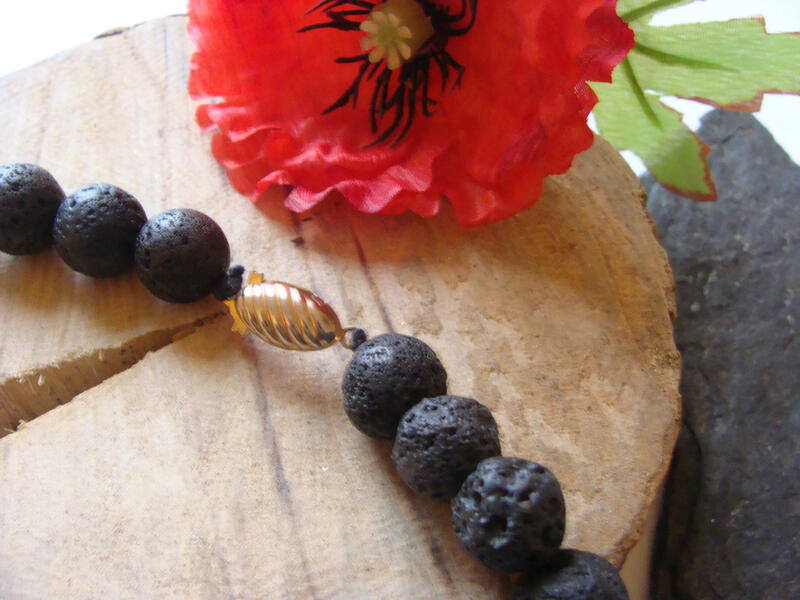 The clasp is in gilded metal.